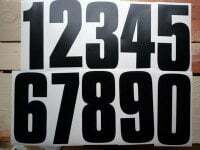 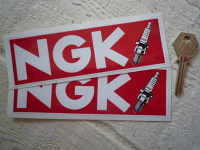 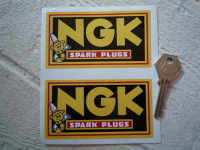 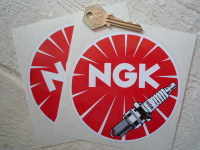 A pair of red, black & white, NGK Spark Plugs stickers. 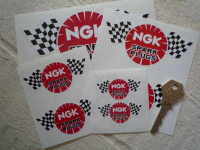 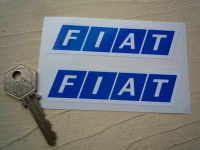 Each sticker measures approximately 115mm x 40mm. 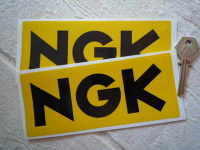 Stickers are cut to shape, the black square that you see is an example background.